You wouldn't think that a mutual fund company would have insight into website redesign. But Vanguard's decision making approach to investing in and building out it's website is instructive to businesses large and small. Especially those who are considering rebuilding or refreshing their website presence. For those unfamiliar with the culture of Vanguard as a company - cost consciousness might be an understatement. Cost-consciousness is a prominent feature of the Vanguard culture, fostering a mindset that I would describe as “frugal, not cheap.” After all, the less our clients pay, the greater their share of an investment’s return. In our annual budget meetings, each line item is evaluated according to the same question: Is this a good use of the client’s money? Suffice to say, Vanguard has quite the following in investment circles. 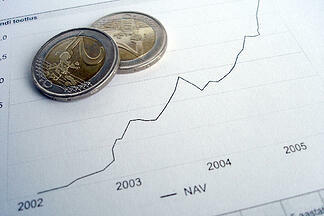 They are well known for low expense ratios and treating clients' finances with the utmost care and caution. If a corporate investment or expense can provide a significant return and help Vanguard clients, Vanguard is happy allocate the necessary funds. Two decades ago, Vanguard invested heavily in vanguard.com. The up-front investment was significant. But our analysis suggested that, over time, a world-class website would allow us to serve more clients at a lower cost. Thus generating economies of scale that would trim expenses for all shareholders. Is your company considering (or stalling) a website redesign? Is there concern about the amount of investment required? Have you taken Vanguard's approach and looked out into the future? Have you determined how a new website can help educate prospective customers and decrease sales or marketing costs over the long term? Is it more effective to invest in a $30K lead generating website that you'll have for years to come? Or is it more effective to hire a $50K salesperson who may leave after receiving (or not receiving) a bonus. And maybe that's not an either/or decision. A well thought out and well-planned website will certainly generate economies of scale relative to lead generation, education, and brand awareness. Notice the benefits Vanguard identified - a world class website and serving more clients at a lower cost. Vanguard made a significant investment in their website 20 years ago and still reaps benefits from that investment today. Take a cue from Vanguard and understand the long view of your website investment.